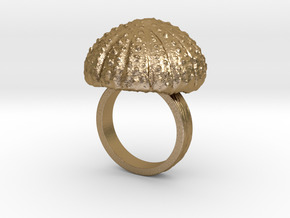 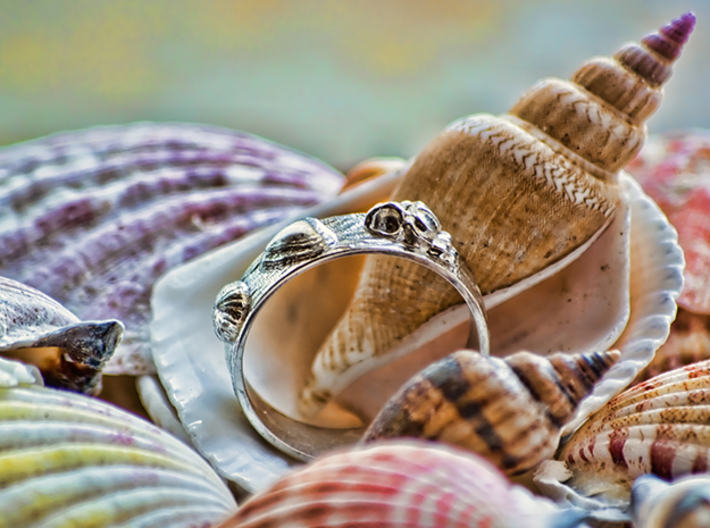 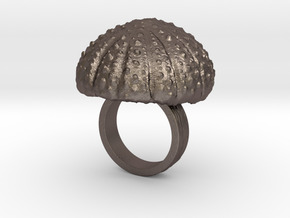 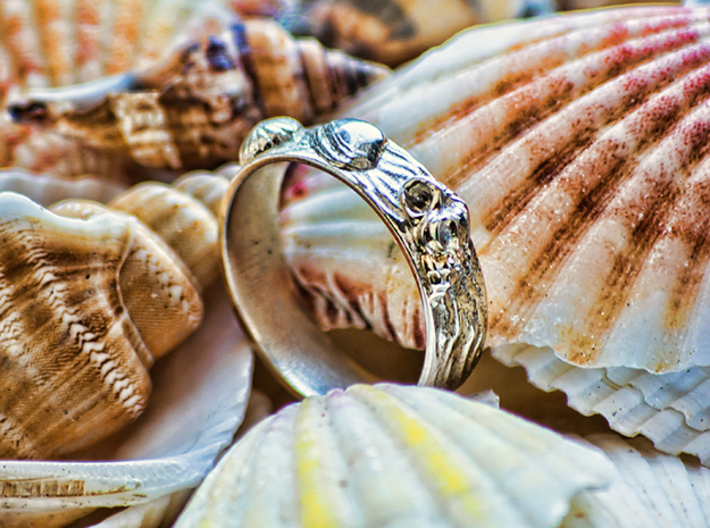 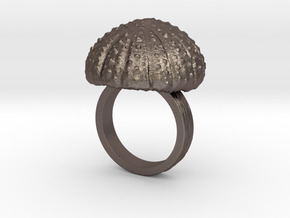 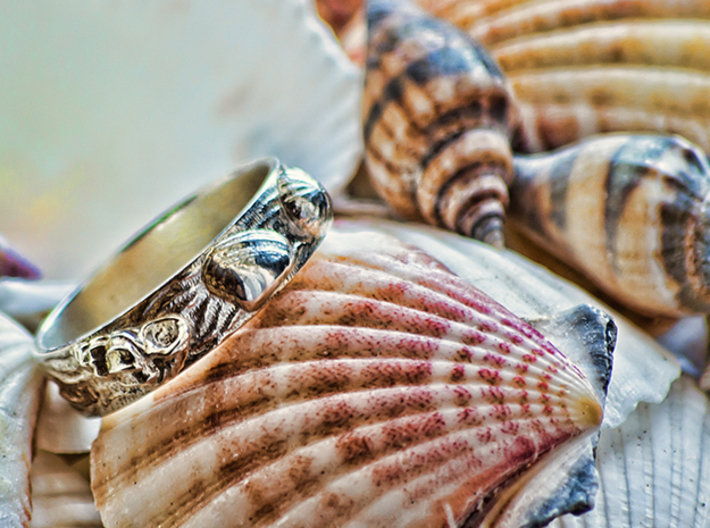 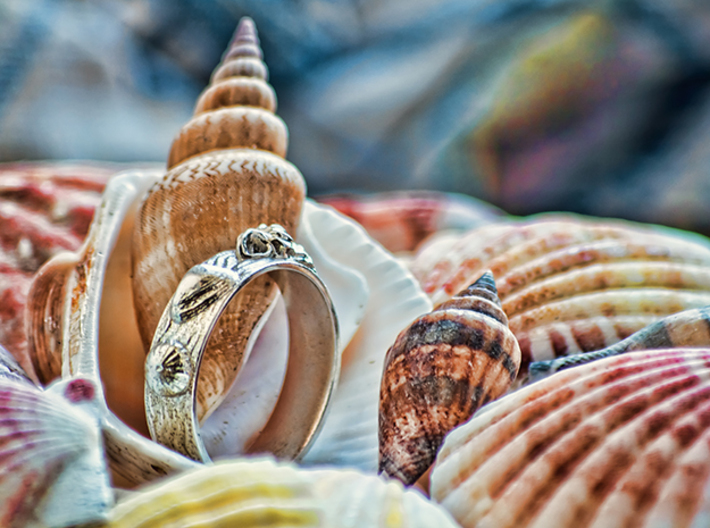 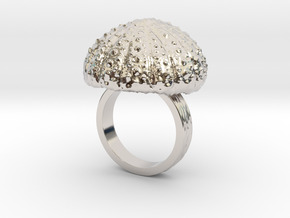 A sea shell ring with a seashell, urchin and a sea snail shell in a bed of ribbed sand. 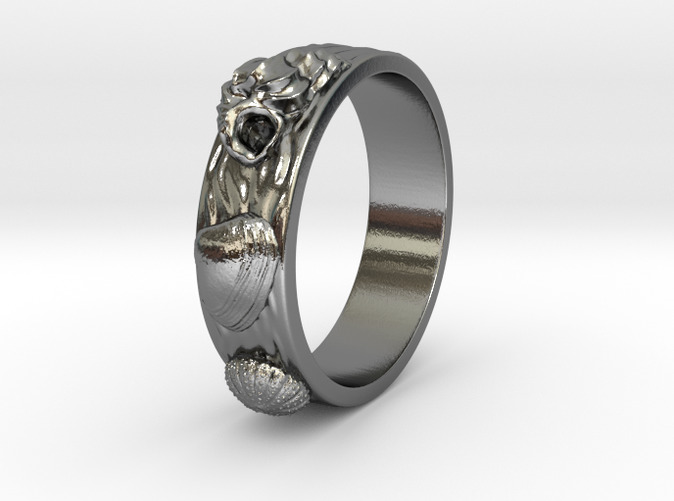 In case you need to convert the size to your country, you can find a ring size conversion chart by clicking this link - I also have this ring in other sizes in my shop! If you would like to have a size which I didn't upload yet, don't hesitate to send me a message.